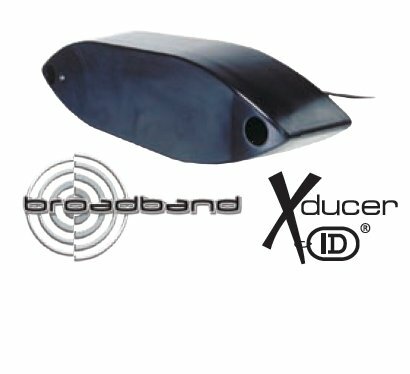 When thru-hull transducers are installed with a High-Performance Fairing, the transducer face is parallel to the waterline resulting in a beam that is vertically oriented for maximum echo returns and the best possible performance. The fairing compensates for hull deadrise and reduces turbulence over the transducer face, which allows tracking at speeds over 30 knots (35 MPH). This installation, when mounted in clean water (forward of propellers and running gear), produces the most effective signal return since nothing on the vessel interferes with the transducer’s active surface. 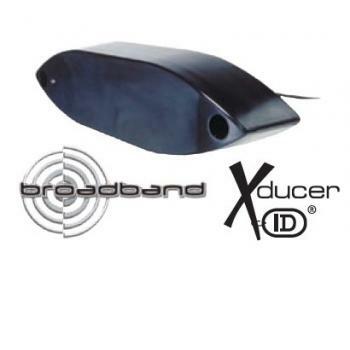 Thru-hull transducers will work with any engine type: inboard, outboard, or I/O. Rely on Airmar’s new broadband transducers for your ultimate fishing mission. Whether you’re a c..
Get more coverage under the boat with Airmar's new wide beam Chirp product line. Offering a high..